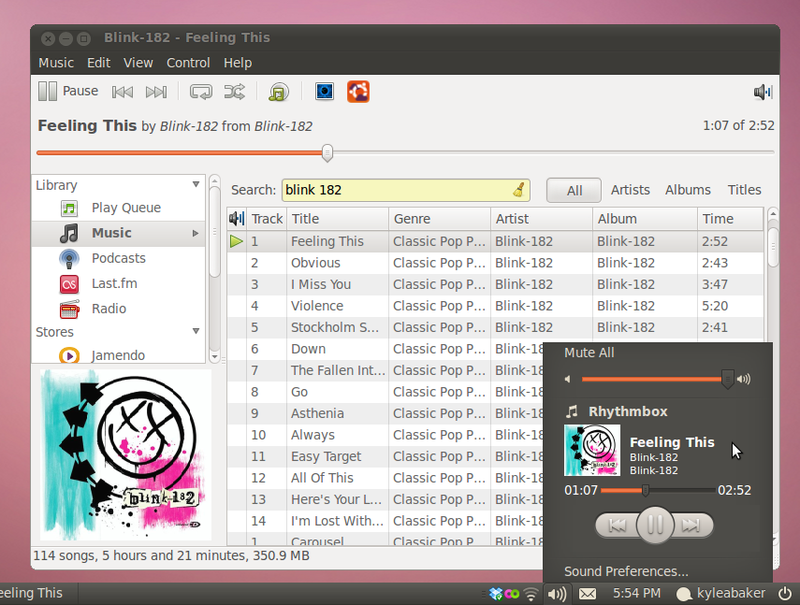 For those of you who use Rhythmbox, you’ll be happy to hear to v0.13.2 brings some great improvements. I subscribe to the mailing list and try to help when possible, but when I saw the news of Rhythmbox 0.13.2 code being released I instantly starred it! Well, it took me over a month to get around to looking into the update, but ironically there is a backport posted at WebUpd8 that makes installing this in Ubuntu 10.10 as easy as copy-n-pasting three commands into the terminal! The Last.fm updates (thanks to Jamie Nicol’s GSoC project) have finally been added and I was obsessively tracking the code commits each day to watch the progress while it was going on. Now that I get to test out the changes, I’ve glad to say that the Last.fm improvements are grand! The new support for DACP, which allows you to use your iPhone/iPod touch/iPad as a remote for iTunes, now allows you to remotely change the tunes playing in Rhythmbox! Unfortunately, this feature doesn’t seem to currently support sending cover art embedded in the media files’ metadata to the remote. I’ve seen discussions about this recently in the mailing list, so this will likely change before too long! One last improvement that I have to mention is the “Various fixes for iPod support” as this is one area that I’ve felt is constantly in need of improvement with each new release of iOS and each new model. There are also a great deal of other improvements which I’ll list below directly from the mailing list (via Jonathan Matthew)! If you’re unfamiliar with this show, its simply a two hour mix of electronica and trance tunes by Solaris International with Solarstone. You can listen to their previous airings straight from their website, but I’ve finally come across their podcast in iTunes and found that it works perfectly in Linux as well with Rhythmbox! Their site doesn’t seem to be as intuitive as it could be, which is why it took me so long to stumble across their podcast link. If you’re interested in subscribing, the link is posted immediately below. 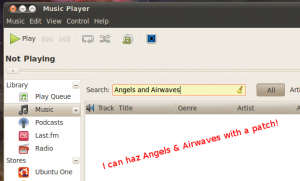 Copy and past it into your media player. 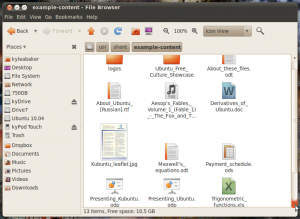 If you’re unsure how, take a look at this excellent guide from GoingLinux.com. I’m usually not a fan of podcasts, but I have a select few that I frequent. This will easily become my favorite. If you have podcast recommendations, I would love to hear about them in the comments! With recent news from OMG! Ubuntu regarding a fork in the Rhythmbox source code for a new project called Rhythm-e (Elementary design in mind), and the controversy or mixed reactions that this has sparked in the comments and mailing list, I’ve decided to take a deeper look at Rhythmbox and share my thoughts and suggestions. The Elementary take on Rhythmbox that is covered at OMG! Ubuntu attempts to clean up the interface by moving and removing various parts of the default Rhythmbox player. While this can be beneficial at times, I feel that its very important to heavily consider the features that are being removed. The Rhythm-e project is only a few days old, so I’m holding my judgement on the project for a later date. 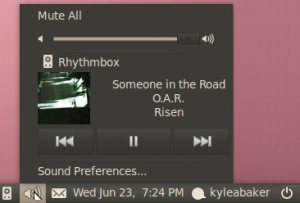 Instead, I just want to point out changes that I think could have been made before the extreme decision of forking a long standing and popular music player for Linux. The default Rhythmbox player for Ubuntu 10.10, as pictured above, is by no means perfect, but there are plenty of little tweaks that could be performed to polish the fine details of the application without very much work. Keep in mind that these are solely my opinions and in no way do I consider them to be the only or best way of improving Rhythmbox. I simply offer them out as suggestions and examples. I’ve taken the screenshot posted above and tweaked a few aspects to show how some spaces could be used more efficiently, thus giving Rhythmbox an overall cleaner appearance without the need to fork the entire project. The only difference between the two is that the second mockup has a library that has been filtered enough to remove the scrollbar. 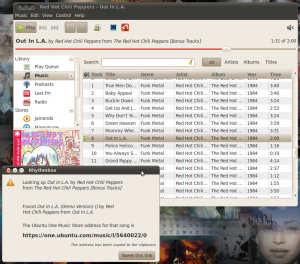 The song title, artist and album have been pulled up into the button toolbar to reduce wasted vertical space. 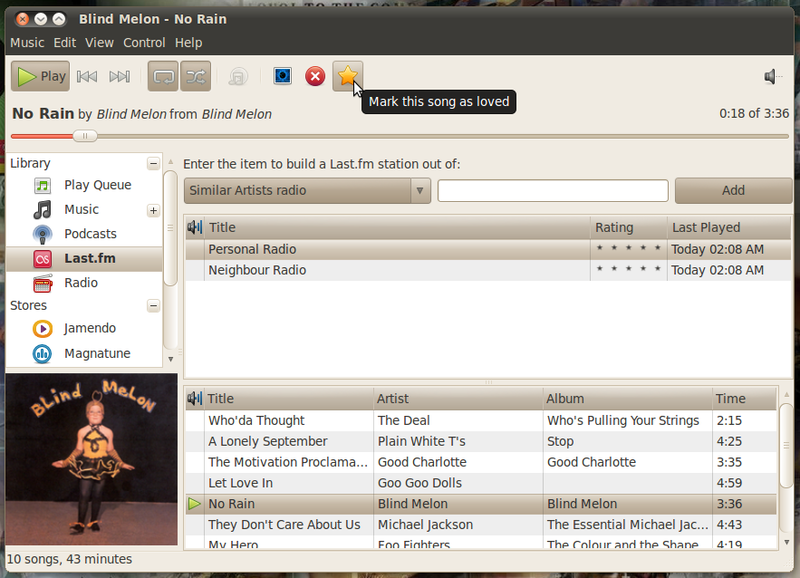 The song’s progress slider has been pulled up in-line with the textual position output to reduce wasted vertical space. The Library and Store list on the left has been widened by 1 pixel and shifted left to hide the unnecessary left border. This creates a cleaner and more flush appearance. 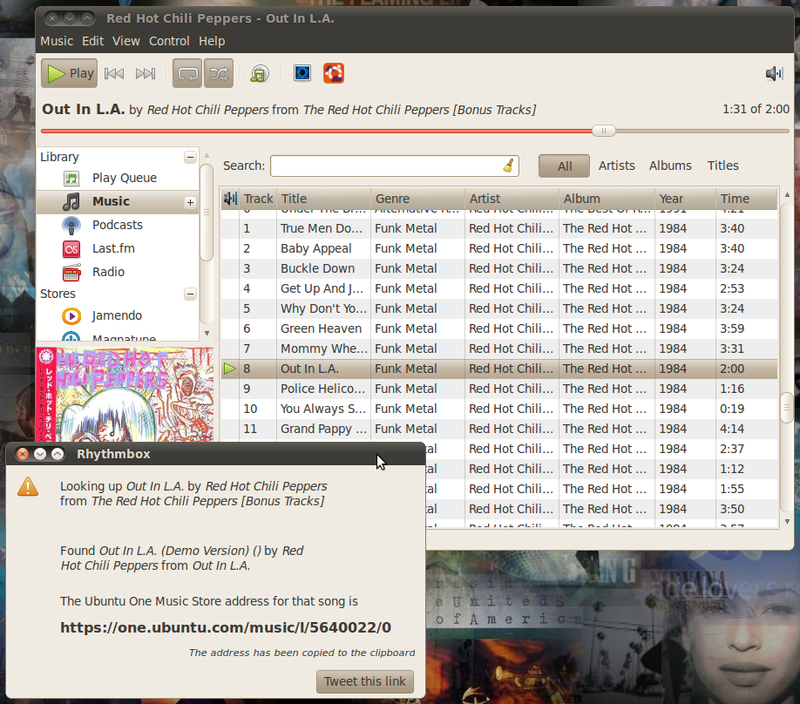 The album art image holder has been scaled to take up the full available area, thus removing wasted space and padding. It may be ideal to shrink the image a bit, but keep the top of the album art flush with the list above it in order to allow the resize bar to remain clickable, but the rest of the available space should be used and not wasted. The redundant spacer at the end of the “Time” category has been removed. This is most likely more of a theme problem than a Rhythmbox problem, but it does still make it look cleaner. In the second mockup (short list), the scroll bars are not necessary and have been removed as usual, but the list has been widened enough to push the right border out of the window which helps create a cleaner and more flush appearance. I also think that the status bar is a bit unnecessary by default, but have left it in the picture to show that it can still look good. If the status bar is removed, the library list should stretch to also push the bottom border out of view as the right side is in the short list mockup. I think the menus are still relevant and useful, but with the menu bar being removed from the application window in UNE, this would only help in cleaning up the interface. 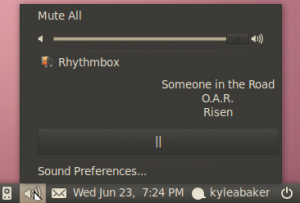 One thing that Rhythmbox could do to help ideas like Rhythm-e take hold more quickly is to make the interface more configurable by themes or manual configuration files. 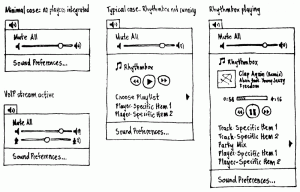 Allowing stylists to easily move buttons around and remove various elements could also spark new ideas on realistic was of improving Rhythmbox for everyone! While I think its not always necessary to fork an existing project for a new idea, I also like to see the interest and efforts in making existing applications more appealing. 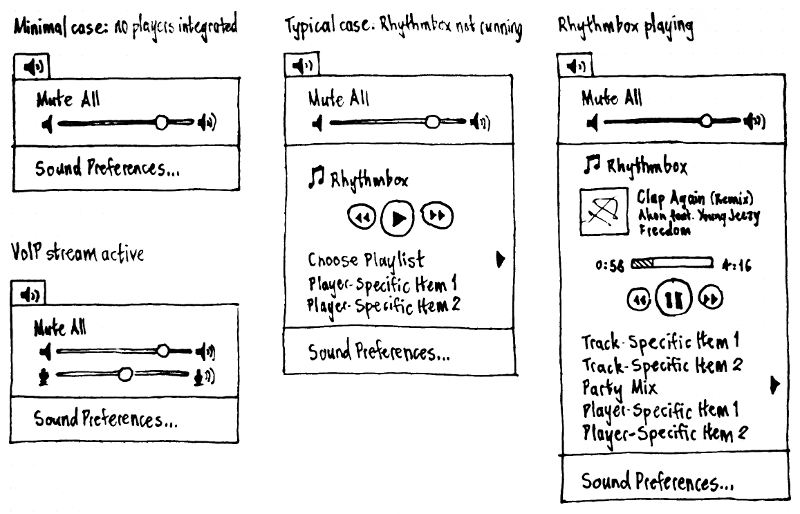 I look forward to seeing the rests of Rhythm-e as it matures, but I’m also hoping to see better communication and collaboration to improve Rhythmbox itself. While you’re free to take open source software and do as you please without asking questions, its just plain friendly to contribute back as a token of thanks for the work that went into it in the past. Keeping up with the mailing list, I’ve seen a few talks and suggestions back and forth, so I’m crossing my fingers that the two can work together and combine their strengths rather than simply competing separately. Are there changes that I’ve missed? Something I’ve changed that you disagree with? Let me know in the comments! One less menu, yet more control..fantastic! This is a welcome update for me as it reduces redundancy among the menus and gives the sound indicator menu a little more purpose. Looking through the Rhythmbox Plugins, I’ve also stumbled across the ReplayGain plugin (some how avoiding looking right at it and missing it though I look through the plugins regularly). This elusive feature is highly valuable! While this isn’t a new feature to Rhythmbox, or many other media players for that matter, if you’ve never used it then I highly suggest you enable it! If you’ve ever noticed that some of your audio files are just way too loud compared to others and you’re constantly adjusting your speakers then you should look into ReplayGain. I’ve been watching the a couple of Rhythmbox features that I’m highly anticipating as they’ve been progressing thanks to Google Summer of Code. If you’ve not been keeping up with the mailing lists, you’ve been missing out on “DACP in Rhythmbox” by Alexandre Rosenfeld and “Improved Last.fm Plugin” by Jamie Nicol. 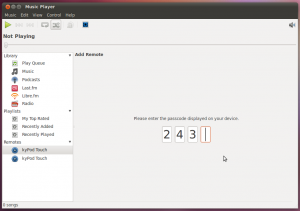 Connecting a remote device to Rhythmbox. 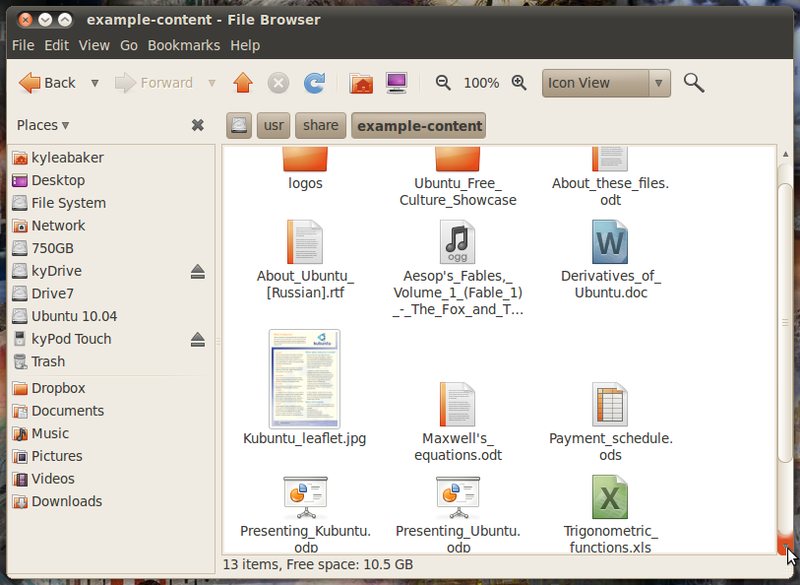 Yet another small update I’ve noticed in Ubuntu 10.10 is the inclusion of an actual Pause button (icon and all). I would imagine this bug from 2006 was finally fixed so that the sound menu play/pause buttons and Rhythmbox play/pause buttons are consistent. 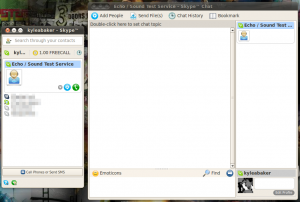 Skype is already available in Linux and usually works well. However, Skype to due to release an open source client (keeping the back-end closed source). Fortunately for Linux users, this means that you will likely get to use only one messenger client such as Empathy or Pidgin without ever opening the old Skype client and still have your Skype buddies listed in Empathy or Pidgin. 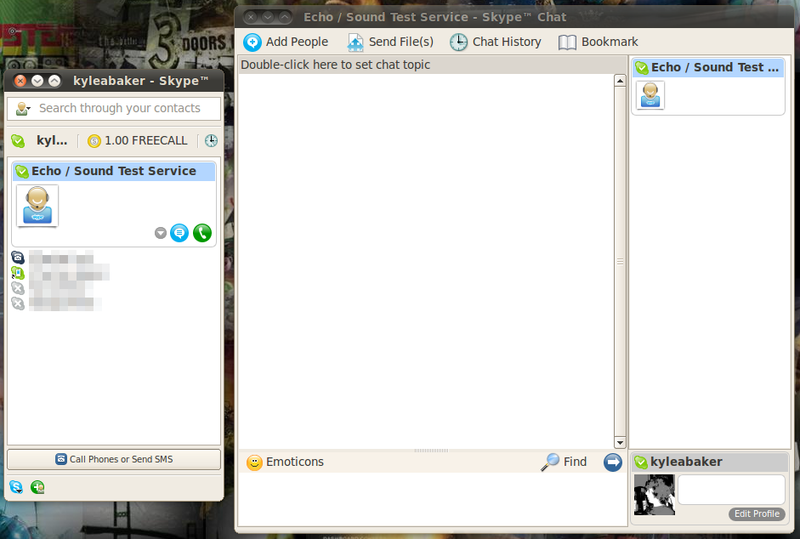 Closed source Skype 2.1.0.81 in Ubuntu 10.10. While the announcement was released in November 2009, there is no expected date of arrival. So unfortunately, Linux users could be waiting anywhere from a few more weeks to a few more years. I’m looking forward to never having to launch the Skype client again and simply using Empathy alone to chat and call all of my Skype friends! Anyone who has ever used Dropbox knows that it is dang good at what it does. You need something backed up? Drop it in your Dropbox folder and forget about it. 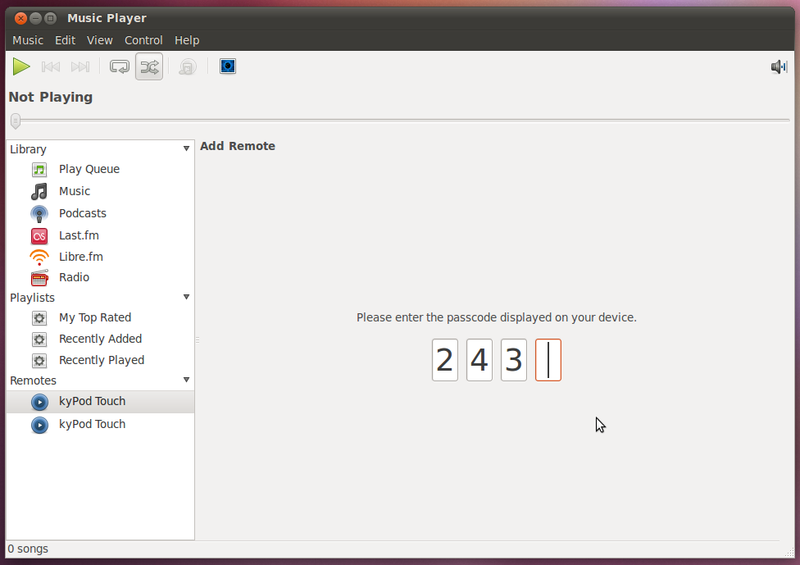 Current Dropbox 0.7.110 in Ubuntu 10.10. Experimental builds of Dropbox 0.8.x have been in the works since February 2010 and appear to be progressing nicely. With Dropbox 0.8.x, we will gain a new feature called “Selective Sync” which will enable you to pick which files and folders from your Dropbox to sync, giving you more overall control. Dropbox 0.8.x also brings a wealth of performance improvements to the table. With faster startup times and lower memory consumption when idling, this update is sure to be well received. File attributes are now noted and properly synchronized, so if you make a script executable on one computer it will be updated on all others as well. 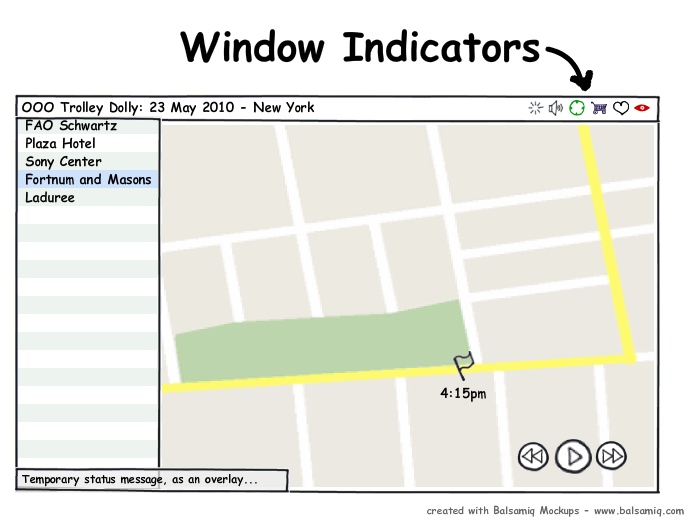 This is very handy for Unix/Linux users. Being a Last.fm user myself, I find myself scrobbling a lot of music and very few options to manage my profile. I’d love to see this plugin integrate the ability to “Love” and “Unlove” tracks that you are playing from Rhythmbox itself. 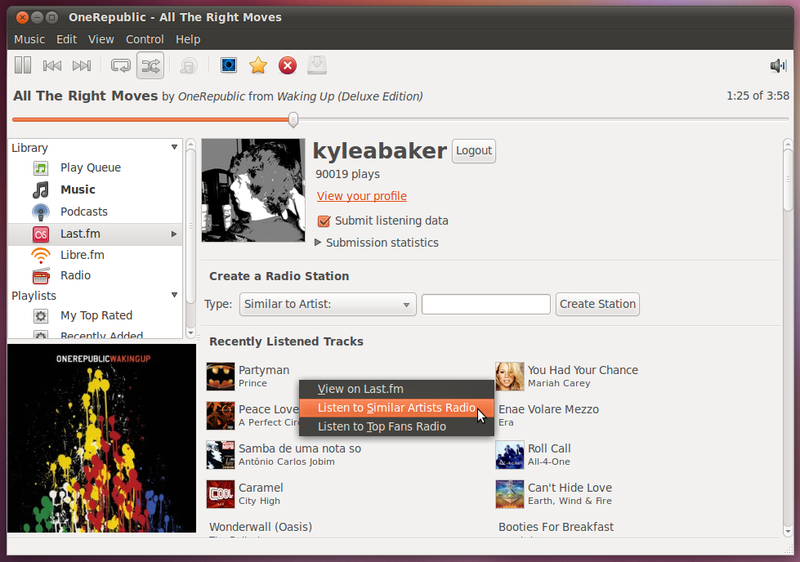 Rhythmbox + Last.fm plugin in Ubuntu 10.10. According to OMG! 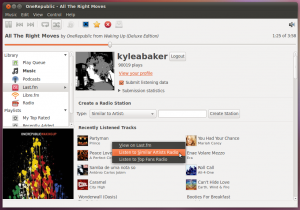 Ubuntu!, a developer by the name of Jamie Nicol will be improving this plugin in the Google Summer of Code event. The details of what will be improved with this project are vague to say the least, but very promising. The sound indicator applet is receiving an update which will manage to bring all of your sound controls into a clean and simple menu. Case scenario mockup (image source). With this project well underway, you are already able to view what’s playing in Rhythmbox and pause/play the song from the menu. 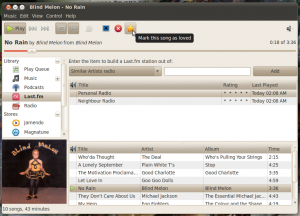 The artist, title and album are also implemented, leaving album art, playlists, back and forward controls, and a song progress bar to be anticipated. 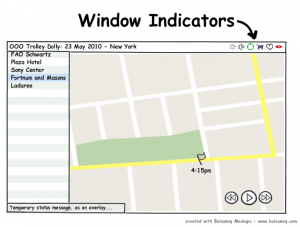 Windicators, as Mark Shuttleworth describes them, are indicators located in the top right side of a Window’s title bar that indicate specific states of applications that users should be alerted of. 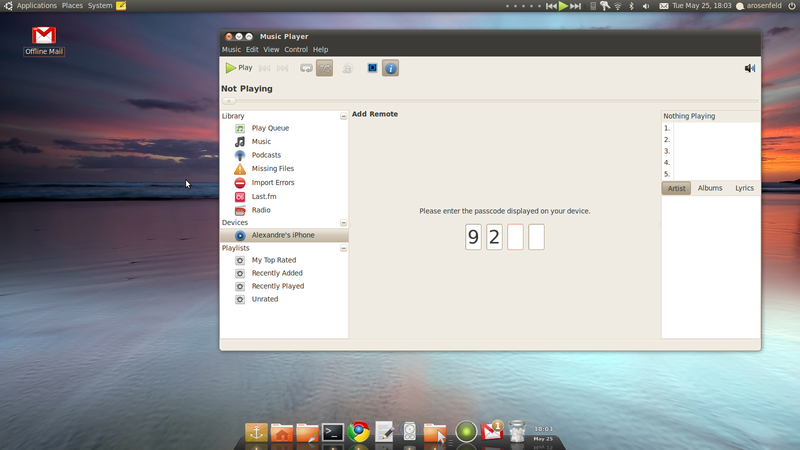 From the mockup, you can see that Windows producing sound will likely have per app volume control windicators. Those dealing with stores and shopping carts will feature a shopping cart windicator to help you manage and navigate what you’ve stored away to buy. I’m really hoping that this Windicator will be used in applications such as web browsers and the Ubuntu Software Center (which, by the way I think should be renamed to the Ubuntu App Store) so that web sites like eBay or Amazon and the Software Center can take advantage of this feature. 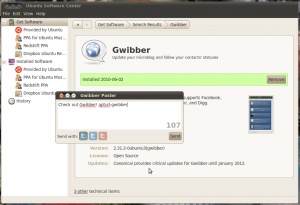 There are a number of theme enhancements that are set to land in Ubuntu 10.10 and will help to polish the user interface. One improvement will be closer maximize and minimize buttons. The improvement, as I image it, can be seen below, but is not meant to represent a final product in any way. Mockup of a clicked or hovered stepper. Also mentioned is “Changing GTK to allow for a rounded stepper,” which is why I rounded the button in the mockup (if you click to view the larger version). There are several other changes to be made for the theme, but as far as I’ve seen they’ve yet to appear in updates. 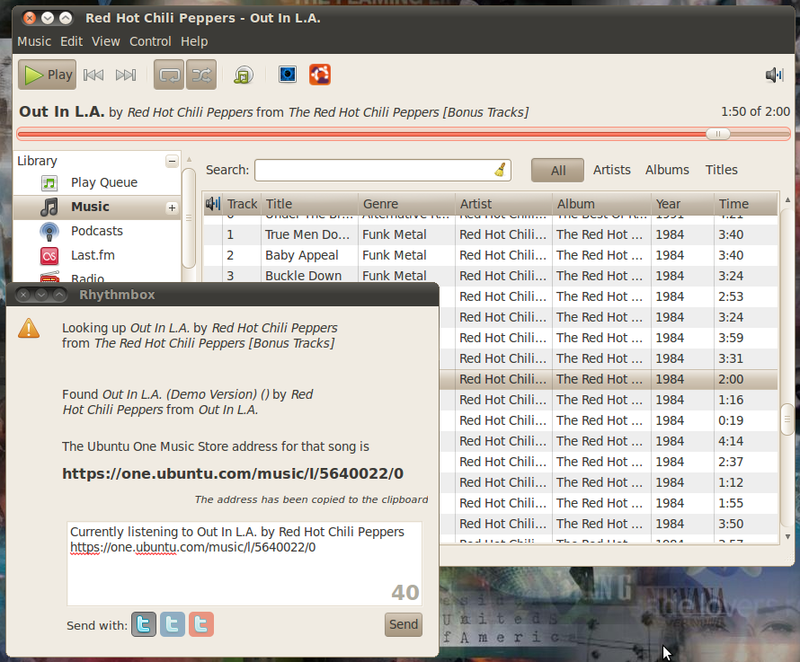 One of my favorite features in Ubuntu is desktop effects which are powered by Compiz. It seems like compositing windows managers have been changing at an incredibly unpredictable rate since I first started using Linux. 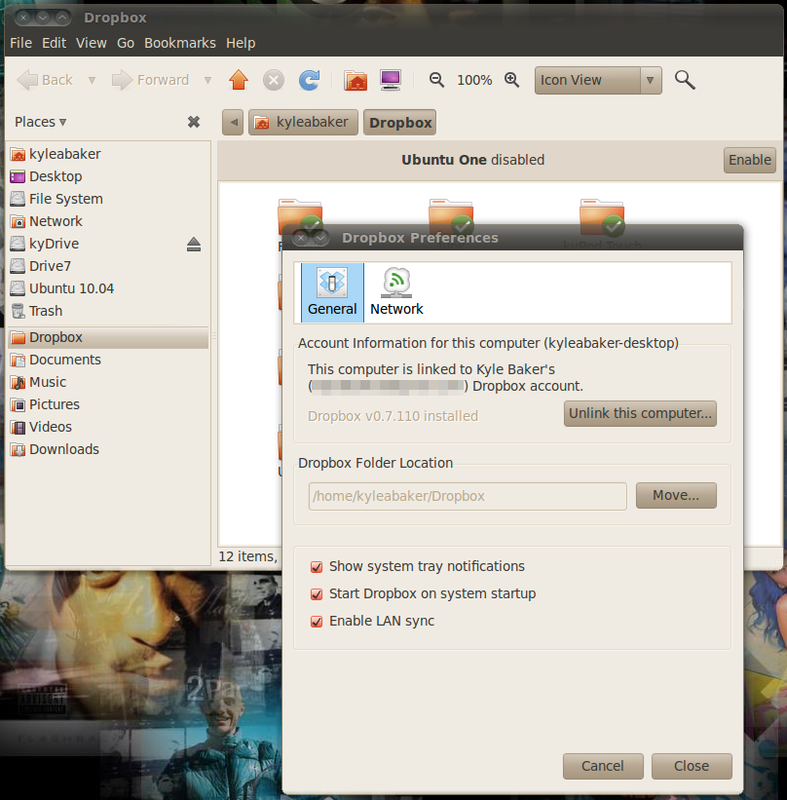 I first started using Beryl to get cool effects for the desktop way back in the early stages of Ubuntu. Soon after, Compiz-Fusion became the next big thing. This developed as a bit of a merge between Compiz and parts of Beryl. Not long thereafter, various Compiz related branches were merged and the project became known simply as Compiz again. What’s cool about this is that in the merge, Compiz was being ported from C to C++ (also known as Compiz++) giving it a large number of benefits (that I won’t get into here). Ubuntu 10.10 using the Cube in Compiz. 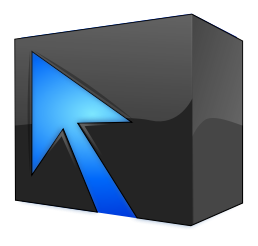 The good news is that Compiz 0.9 unstable has been released and is ready for regression testing! 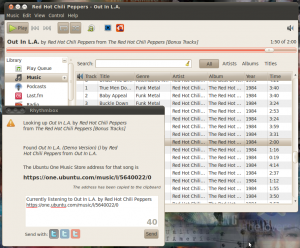 Hopefully it won’t be a great deal longer before Compiz 0.9 matures and is released into the wild. 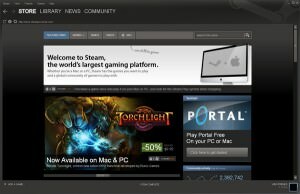 Its been rumored that the Steam client will be coming to Linux, but all we can do is wait in anticipation and see what happens. Steam recently became available to Mac users, so it may not be too far fetched. If it does come to Linux then it will bring a plethora of games to the platform that would have otherwise never been available. Here’s to hoping that someday soon I will be able to play Counter-Strike: Source without booting up into Mac or Windows (or using Wine). 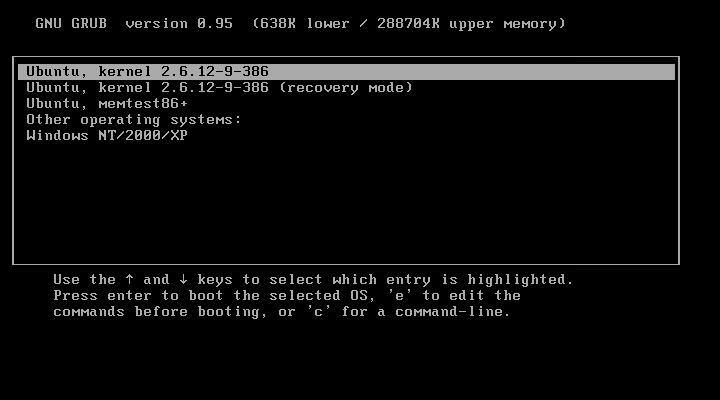 While there are ways to fix the boot screen yourself, I tend to prefer them just working automatically. This isn’t the case in Ubuntu 10.04 if you’re using the nVidia or ATI video drivers. 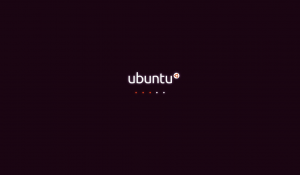 Being only in Alpha 2, Ubuntu 10.10 still uses the boot screen of 10.04 as pictured above. While this is a very nice boot screen, it does have several problems. 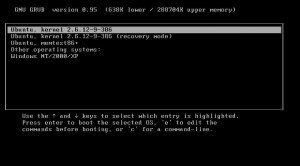 As I said earlier, if you’re using nVideo or ATI drivers then you’ll have problems where the boot screen’s resolution is horribly wrong and your boot screen looks more like a crash. Ubuntu is on the track of speeding up boot times, but if your system hasn’t booted before the animated dots make their cycle then you get to see it again. While this isn’t a horrible failure, its still a very unpolished design and desperately needs some attention. Still worse, the shutdown screen uses the same animation which gives it the illusion of loading, not unloading. I’m hoping that if they take the time to address the boot screen that they will also take time to polish the boot menu for dual booting users. In its textual state it looks like something straight out of the days of DOS, and since Ubuntu is “Linux for Human Beings” I would say its time to ditch the textual Grub interface and move on to a polished Burg menu…based on Grub, but graphical.